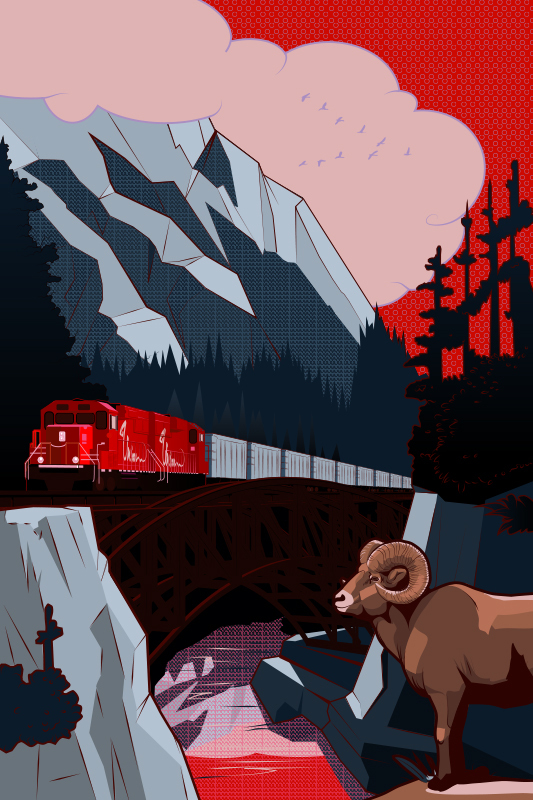 Originally, we did these illustrations for Canadian Pacific Railway as part of a series for the 150 Canadian anniversary. The sketch for this idea was not accepted, but we liked it, and so completed the poster adding the Union Illustration Co. Logo on the side of the train instead. Our vision for these posters was to harken back to the old style of artwork used by the Canadian Pacific to advertise the amazing landscape that Canada has to offer. The goal is always to mix a bit of modern and traditional in all our illustration so that our clients get a sophisticated composition and a unique idea. Since Union Illustration is right next to the Canadian Rockies, we thought it was the best scene to show. We might be a little biased. At one point the Canadian Pacific Railway connected Britain to Asia, and it did that by going through Canada. This illustration was created to give a feeling of what that might be like in a modern way. 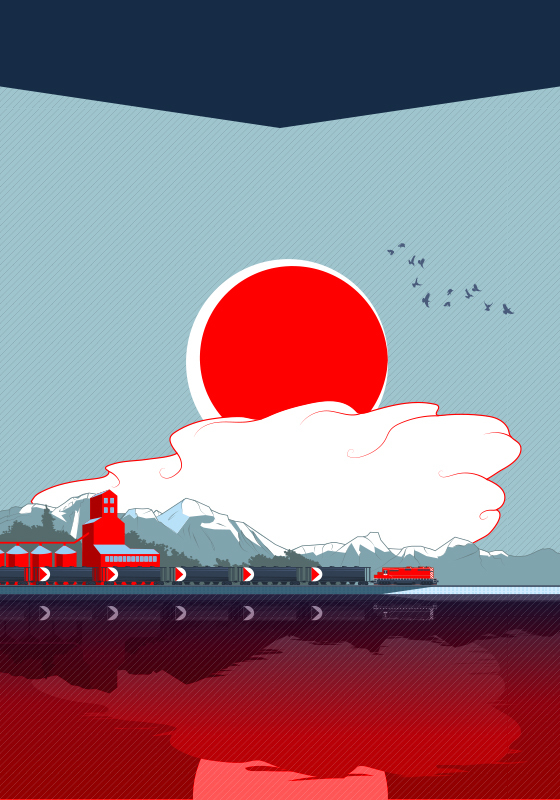 Using an old Icon of the Sun to represent Asia and then including many different parts of the Canadian landscape brings this illustration together.